Many people will go on about the type of Potato you should use, I use what ever is in my crisper with the exception of new potatoes (red skins) which I think are best used for mash or salad. Mostly that means, in my case, organic Yukon Golds. I never peel them, but you can if you want to. Lots of recipes also will tell you to heat the oil to a certain temperature, often as high as 375, even with high heat oil I find that the oil starts to smoke way before it ever reaches that temperature. So yes I use a high heat oil like Sunflower or Grapeseed and I heat it over a medium high heat but the way I know to start frying is by testing a piece of potato in the oil: if it bubbles up around the potato you are ready to go, if it doesn’t the oil isn’t hot enough. Now here is the key, you cook them twice. Before they get brown, when they are at the buff tan stage (about 5 minutes in) remove them from the oil and place them on a sheet pan. 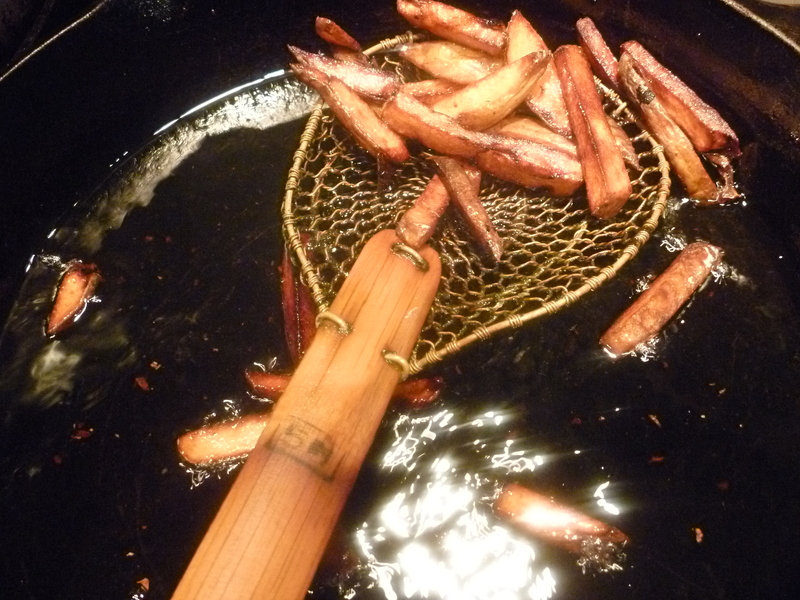 If you are doing a lot of fries before sure to get the oil back up to temperature before you start again. 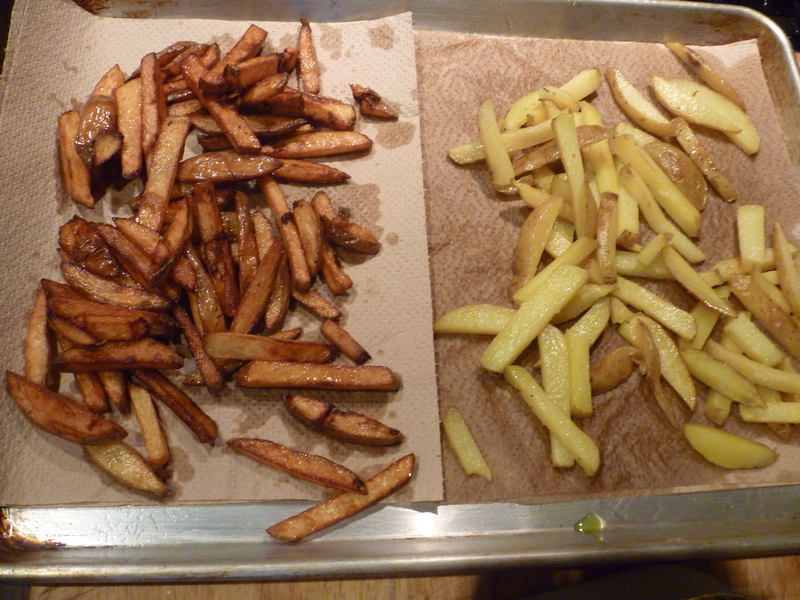 Either way when you have cooked all the fries the first round, take a break of 15 minutes. You could even do this earlier and let them sit lightly covered at room temperature. When you are ready to finish them off bring the oil back up to temperature, testing it the same way as before only this time with one of these once cooked fires, when it bibles up around the fry you are set to go. Cook until golden brown, turning them to make sure all sides are evenly cooked. When ready remove from the pan onto a kitchen rag or paper towel and pat them down to get off as much oil as possible. 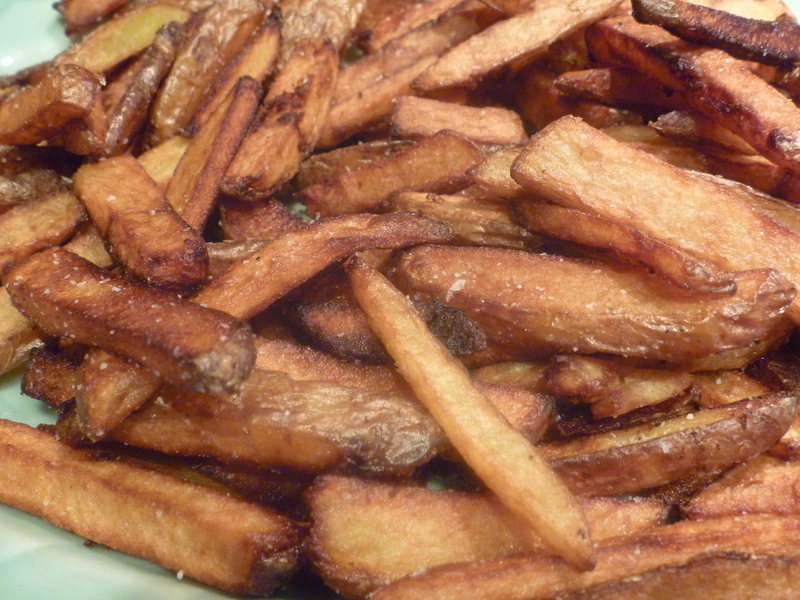 Place the cooked fries into a bowl and toss with salt. Be sure to taste them along the way so you find the right saltiness for your tastes. 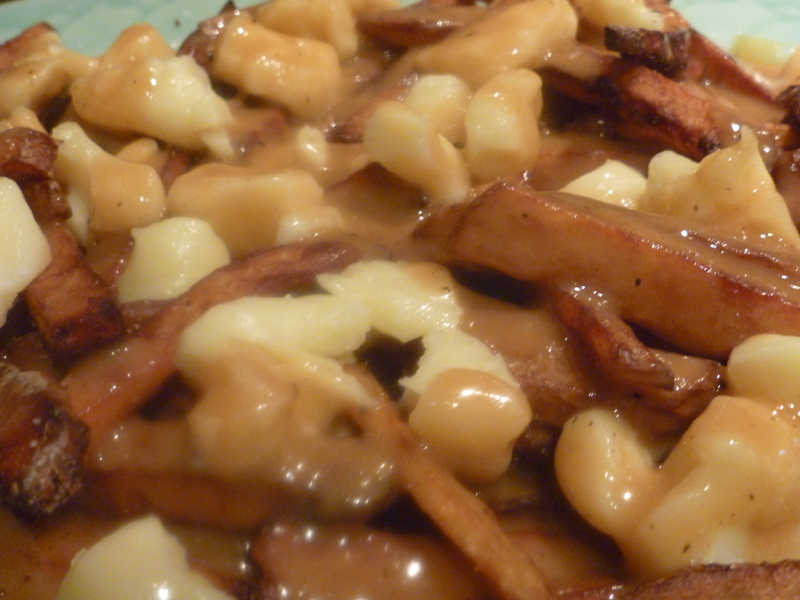 Then smother with gravy and enjoy! I made these the other night, they were going to be a “snack” and ended up being dinner. OMG so good. Made even better with the addition of some freshly grated black pepper. 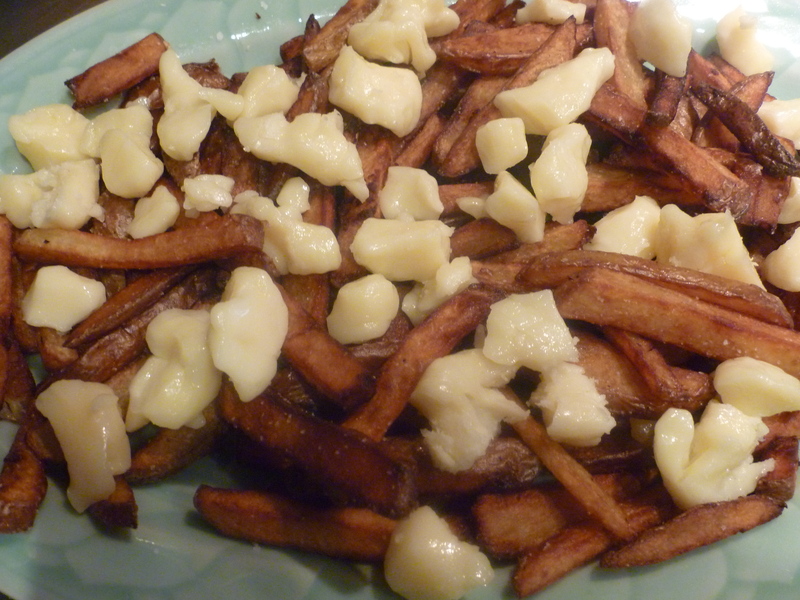 This entry was posted in Recipes and tagged cheese curds, french fries, poutine, Saxelby Cheese. Bookmark the permalink. I love that you’re spreading the word—FRY TWICE! If I’m going to cash in some Fried Food Ducats it’s not going to be for Flaccid Fries. 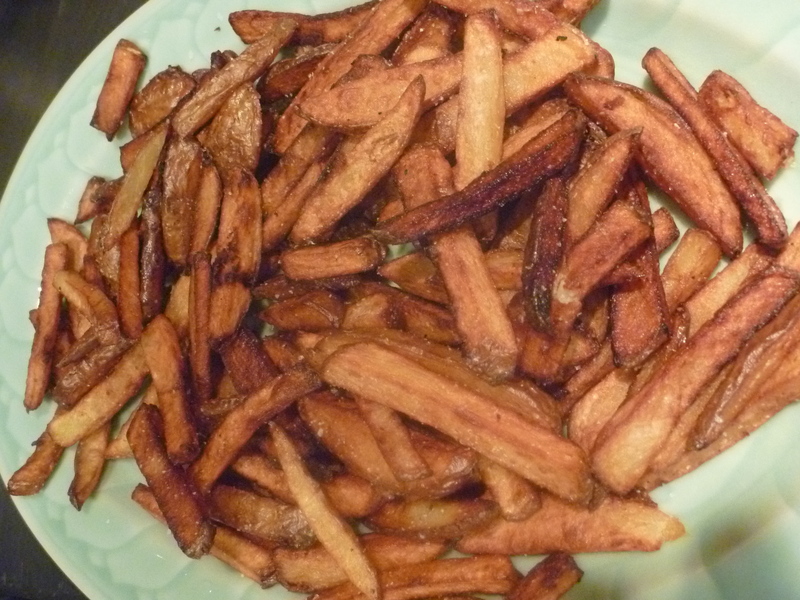 Last week I got some oily, anemic, droopy fries from an otherwise great restaurant and debated whether to suggest Cook give double-frying a try. Then decided I’d come across as Mr. Know-it-all. It actually streamlines the process to fry-then-hold (indefinitely) and just before serving flash-fry them crisp. My frying hint, Toss & Salt! Salt and especially herbs or ground spices adhere best to the surface the second food comes out of oil and is still glistening. …and let’s face it no one is a fan of flaccid fries 😉 April Bloomfield fires big branches of rosemary with her skinny crispy fries at the Spotted Pig and they are soooooo good. Herbs and Salt – who needs ketchup?